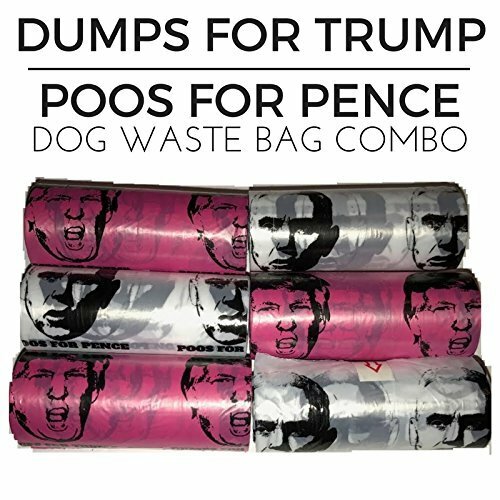 Dumps for Trump Poos for Pence Dog Waste Bags. 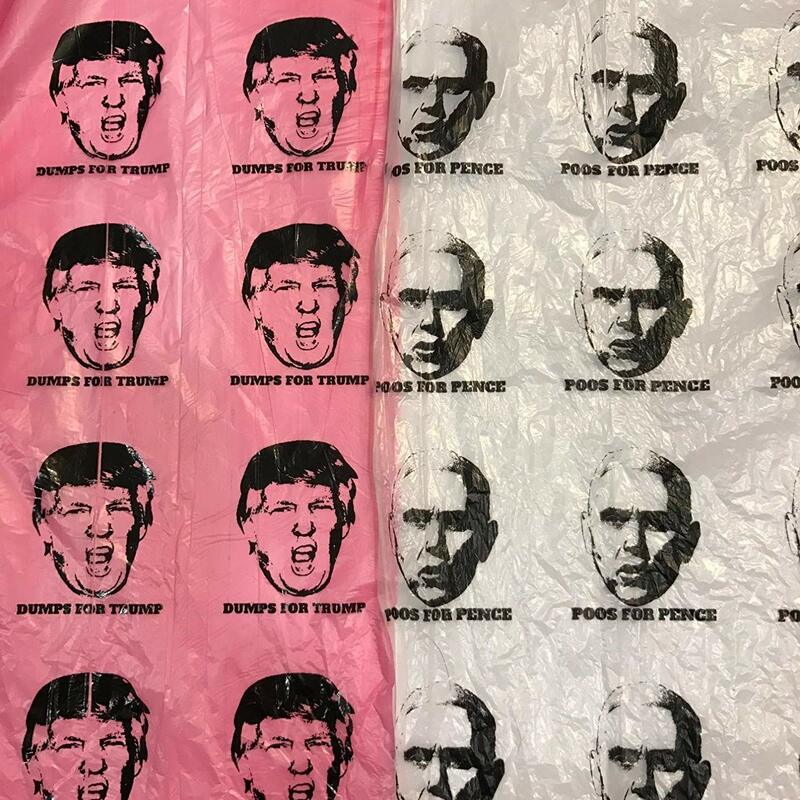 3 rolls of pink Dumps for Trump doggie waste bags paired with 3 rolls of white Poos for Pence doggie waste bags. Plus a FREE dumps for trump sticker. These glorious bags are sure to put a smile on your face while doing the dirtiest of deeds.